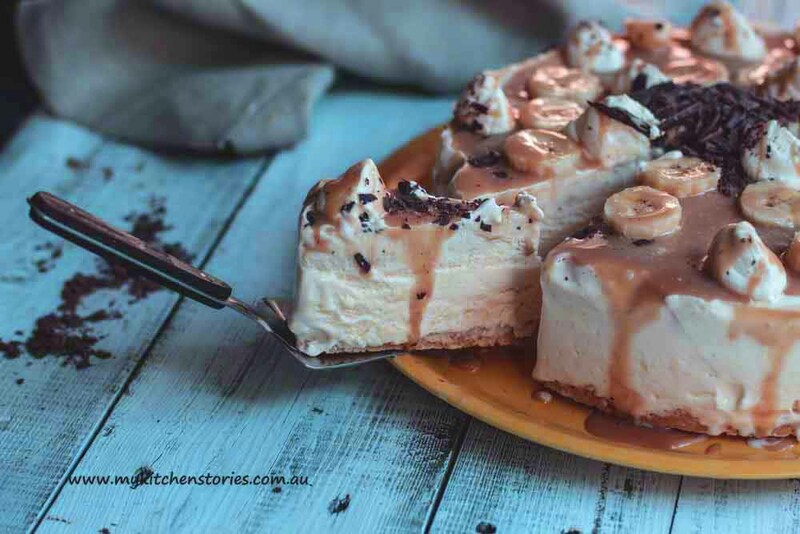 Frozen Banoffee Ice Cream Cake. Although this is a frozen dessert to be honest it could be any kind of weather and I think you would like the caramel, banana and chocolate flavours in this easy to eat ice cream with the crunchy base. 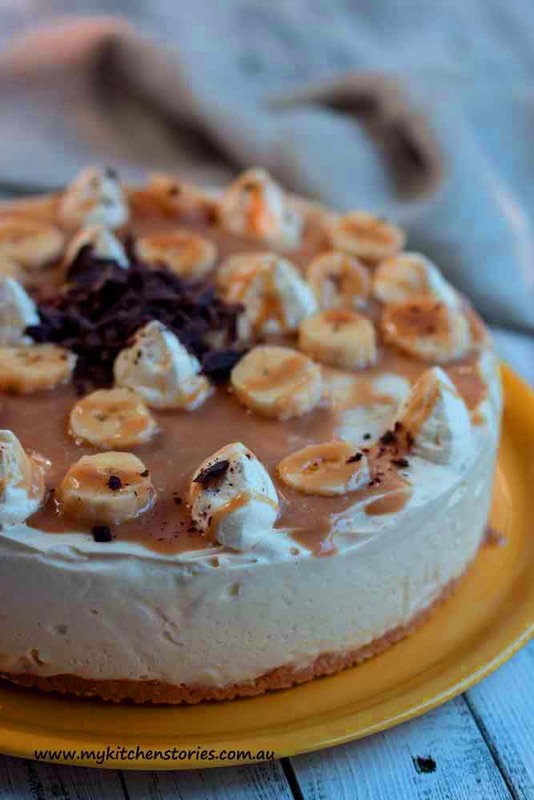 It’s based on a Banoffee Pie idea of course. 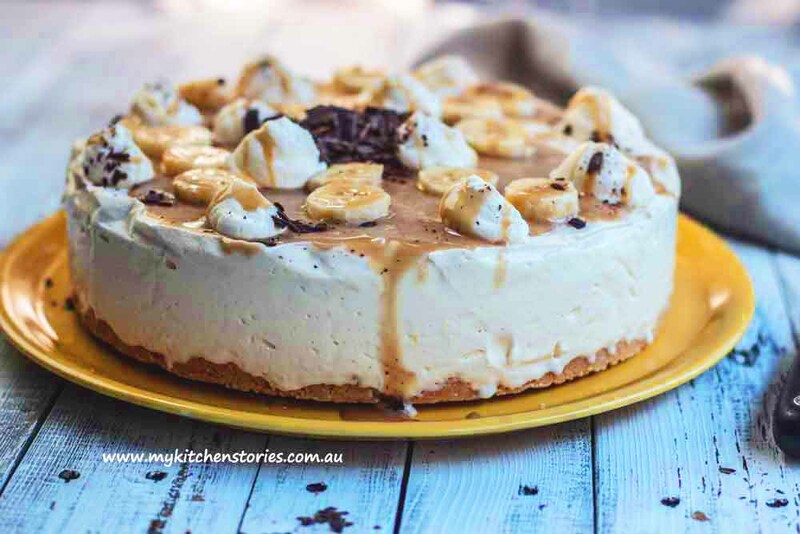 Have you ever had Banoffee pie?. This is the frozen version. 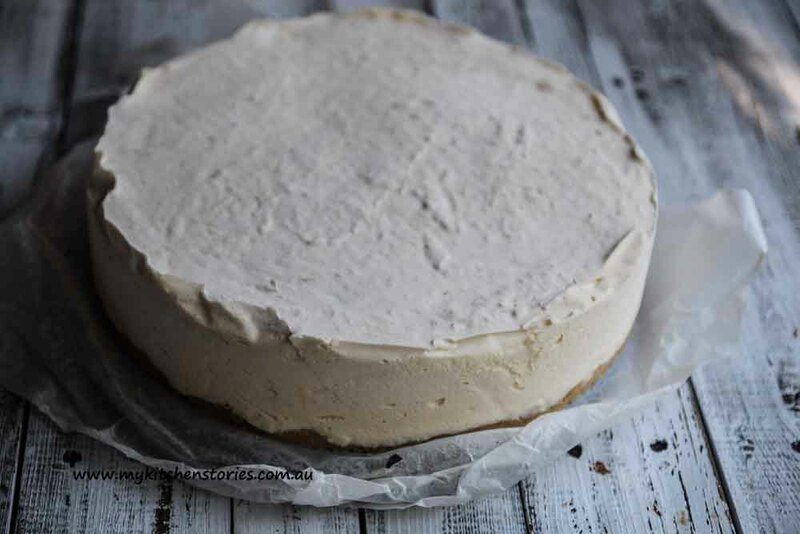 I made this the first time when I needed a gluten free dessert and I had bananas, it’s almost as simple as that. One of the other reasons I thought it might be good is because it’s one of those desserts you can almost entirely make ahead of the time you need it. Make it freeze it and use it any time in the next couple of weeks. 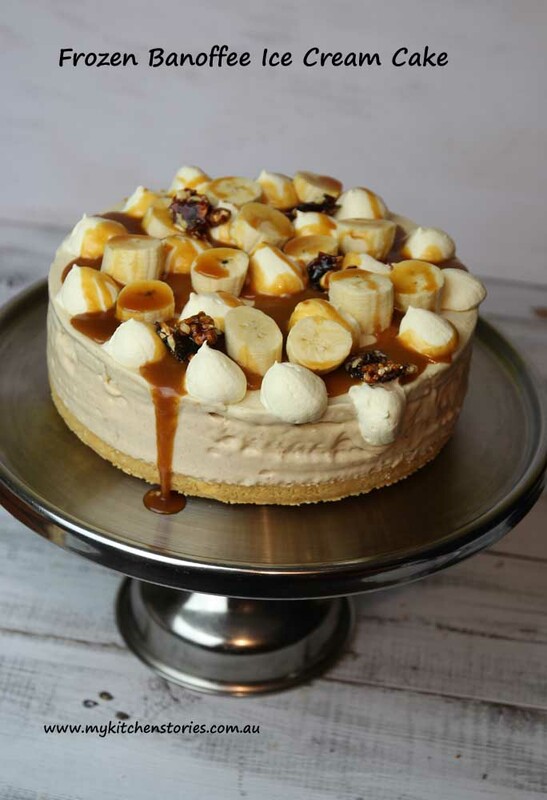 When you unwrap it and put it on the cake platter dressed up in it’s caramel and bananas with dollops of whipped cream, it will still be as creamy and caramel y as it was the day you made it. You could add Maltesers or any other kind of chocolate or even dress it up with Raspberries, that would be very cool but not quite Banoffee, I suppose. There have been a few versions of this Frozen Banoffee but this with its simple boiled together caramel is the easiest and best. Don’t be tempted to sweeten the cream that goes on top or the banana flavoured cream either. The caramel and the no churn ice cream are sweet enough . Beat the 600 ml of cream with the chilled caramelized condensed milk till light and thick. It will form nice soft spoonable peaks. Spoon it into the cake tin on top of the biscuit base, and pop into the freezer. I like to leave mine to set for an hour or two. 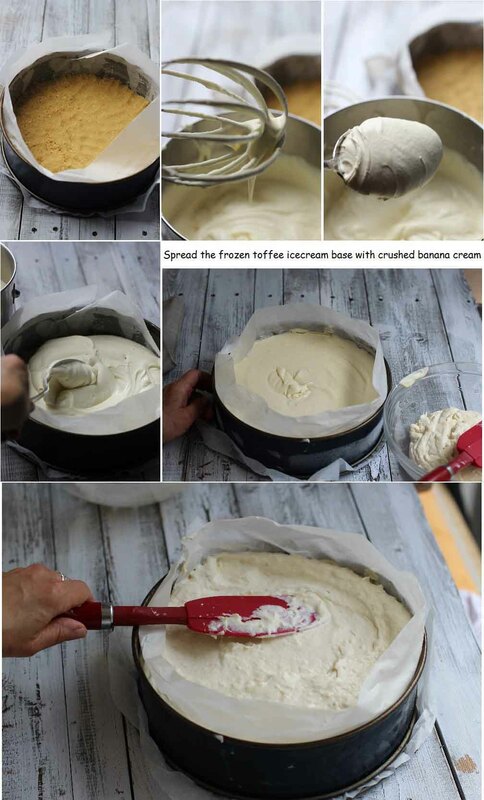 Put the Ice Cream cake into the freezer protected by a piece of foil. To make the Caramel: Put the brown Sugar, salt and Cream into a saucepan and melt. Then let it come to the boil. Boil for about 30 seconds before adding the lemon juice. Put into a bowl or jar and chill . This is best made well before you need it so it is cold . Slice the banana. Pipe generous dots of whipped cream around the edges then spoon over the caramel sauce. Add bananas and grated chocolate. The cake melts quickly once on a platter so pop it back into the freezer while you are cutting decorations or if you are preparing anything to go with it. It will be fine on a platter in the freezer even fully decorated. You can freeze for up to two weeks or till needed. Another caramel recipe can be found here. This is a more traditional bittersweet one. Bitter sweet caramel recipe can be found here. A calorie bomb…but heck…it looks so YUM and tempting! Absolutely love this cake, Tania. I’ve already pinned it, thinking that I’ll definitely make one this summer. I may even make it and bring it to our Christmas celebration. I’ve GF cousins and this would make the perfect dessert. Thanks for sharing another great recipe. Oh John you are so lovely. Thanks for your comments and your enthusiasm! I’ve never had banoffe cake but I do think I would devour yours, Tania. Looks incredible! Hope you 2016 has started off great! Thanks Nancy. 2016 is going to be awesome! Wow wee – that looks glorious! I can’t think of a single person I know who wouldn’t be thrilled to eat this, I think I need to create an occasion so I can make this without being tempted to eat the whole thing. Ha yes well it is delicious and it needs a crowd. Thanks Robyn. Lorraine @ Not Quite Nigella recently posted..The Great Lamb Raan Roast! This is the best!! 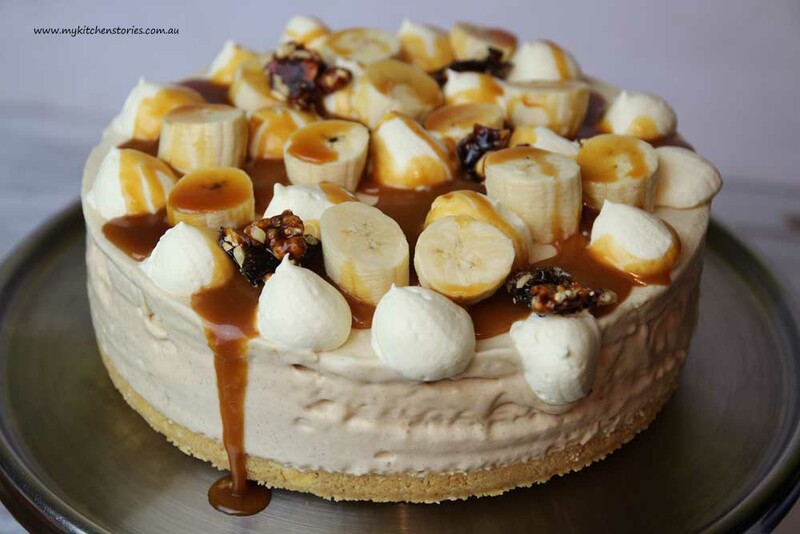 I love banoffee pie but tis is taking things to a whole new level. How absolutely delicious – ice-cream cake really is the perfect summer dessert! This looks so insanely good! I’m drooling over that caramel sauce on top. oooh-la-la, this is glorious! 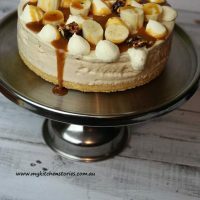 i’ve always loved the banoffee combination, and this is a unique way to consume it. bravo!